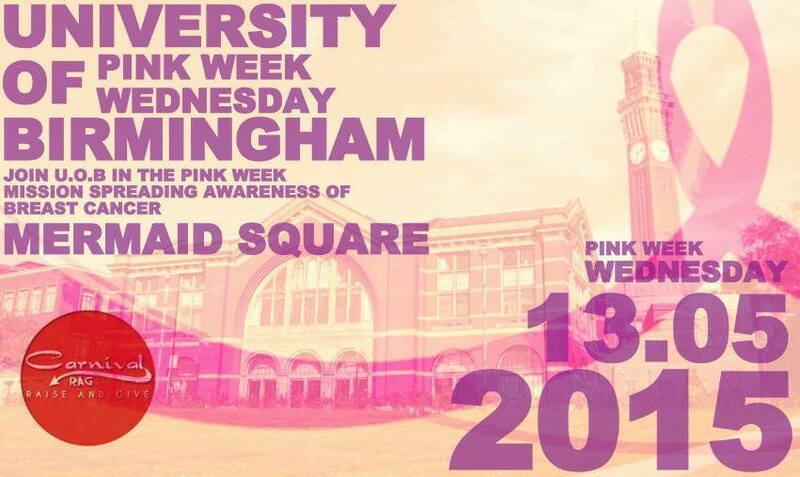 Mermaid Square at the Guild of Students will host the University’s very first ‘Pink Week’, after success at other universities and schools across the UK. Starting with a ‘mini-Pink Week’, ‘Pink Wednesday’, Carnival RAG and the Pink Week organisers will be selling pink snacks and goodies on Wednesday 13th May, with all proceeds going to Breast Cancer care. The campaign is a student-led initiative that is taking off on both sides of the Atlantic. Established in memory and celebration of Dina Rabinovitch, the event was first held in 2011 at Haberdashes’ Aske’s school, and then at the University of Cambridge last year. Rabinovitch, who was diagnosed with breast cancer in 2004, raised over £110,000 through a JustGiving page and the proceeds of her book, ‘Take Off Your Party Dress: When Life’s Too Busy for Breast Cancer’. Upon her passing away in 2007, her daughter founded the campaign that has transformed into ‘Pink Week’, writing about it in The Guardian – which her mother was a columnist for – in February. Stating that ‘Pink Week believes in a cure’, the full campaign week will hit campus next year. The campaign is now active at Universities in Bristol, Durham and Los Angeles, among others. The funds raised by Pink Week go towards the search for a cure as well as funding emotional and physical support for those who currently suffer from breast cancer. Students can find out more about on their Facebook event, and how the funds will be used on the Breast Cancer Care website.